Peer-to-Peer (P2P) means there's never a server in the middle, so there's no surveillance, no stolen account information, no metadata and no ads. Apps on the Newbound Network communicate with each other over a direct, secure, encrypted P2P connection. Direct, secure, encrypted peer-to-peer communications between devices and humans with a built-in JSON web services API and an HTML5 interface. In order to build a network you can trust, you have to be able to trust the infrastructure. Every copy of the Newbound Network comes with the source code. Even if you can't read source code yourself, you can feel confident that independent, vetted experts have reviewed and approved it. Rock solid security built-in to the core. Every connection between your device and another gets its own set of keys known only to those two devices. Industry standard encryption protects your data as it zips from your device directly to the intended recipient. No fuss. No muss. The Newbound Network allows you to choose who you trust, how much and with what. No cloud company interfering in the middle means no surveillance, no metadata, no hacked servers and no ads. Direct Peer-To-Peer connections and encryption mean safe transmissions and real privacy. The Blockchain app provides a simple drop-your-code-in-here approach to building blockchains. Simply define the work of mining a block and the validation required to accept a block, and the Newbound framework handles the rest automatically. 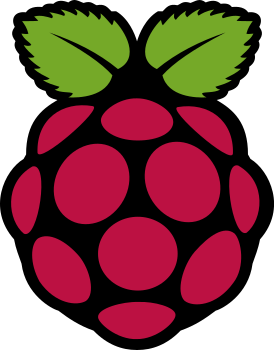 Check out our Tutorials page for some practical examples, or check out our Raspberry Pi Quickstart page for step-by-step instructions for turning a Raspberry Pi into a "Smart Thing" you can access from anywhere with no server in the middle.